One of the main objectives of The Foundation is to restore and conserve the priceless works of art in St John’s Co-Cathedral and its Museum artefacts. The work involved is extremely specialised, time consuming and expensive, but also vital if such treasures of international importance are to be preserved for the appreciation of future generations. During 2014 and 2015 the Foundation’s resident marble restorer Raymond Aquilina carried out the restoration on the Funerary Monument of the Grand Master Fra Jean Paule de Lascaris Castellar, of the Grand Master Fra Antoine de Paule and of the Grand Master Fra Emanuel Pinto de Fonseca. 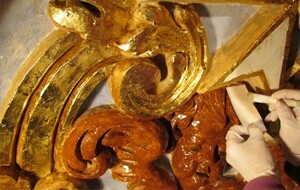 The restoration of the gilt wooden frame of the baldachin was done in 2015 and carried out by Wood Conservation Ltd under the initiative of the St John’s Co-Cathedral Foundation. A new ceiling for the baldachin was made with stars and the symbol of the Holy Spirit in the centre. Read more.. 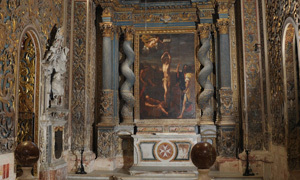 The restoration of the paintings in the Oratory was completed in 2015 with the restoration of “Blessed Gerard Tending to the Sick” and “The Miracle of the Loaves”, which are part of a set of ten paintings commissioned by Prior Lomellini and executed by Mattia Preti in 1680. Read more.. Restoration of the choir stalls and lectern commenced in November 2013 on the initiative of The St John’s Co-Cathedral Foundation. 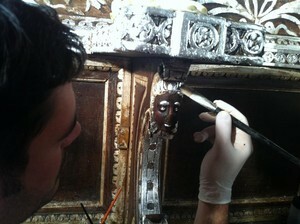 Works were entrusted to James Saliba and his team of restorers. The chapels dedicated to the langues of France, Provence and Anglo-Bavaria began in December 2013 and was completed in October 2014. 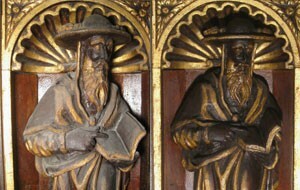 These are were the final three chapels in St John’s Co-Cathedral to be restored. 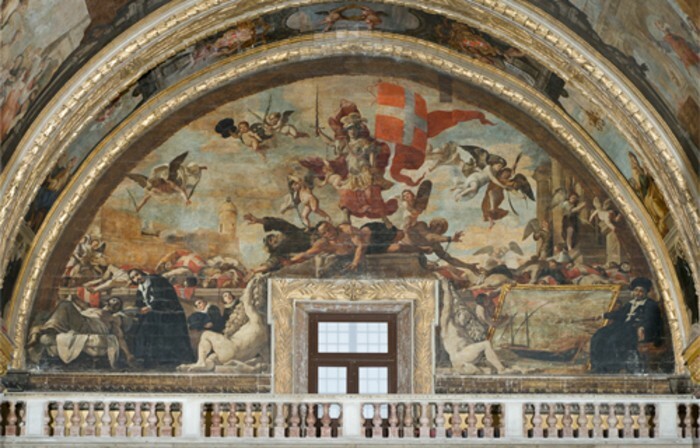 The chapel of the langue of Castille underwent major restoration interventions in 2011. 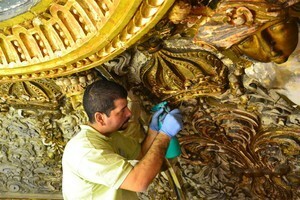 The restoration project consisted of the restoration of the dome and wall carvings. The painting depicts The Martyrdom of St Lawrence which fits in one of the two lunettes of the chapel. 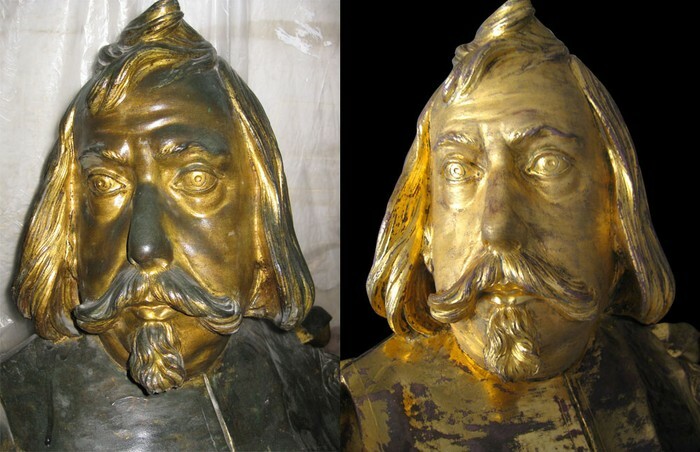 The sepulchral monument to Grand Master Nicolas Cotoner (elected in 1663-1680), situated in the Chapel of Aragon, underwent restoration in 2008 upon the initiative of The St John’s Co-Cathedral Foundation. Restoration works were sponsored by Shireburn Software Limited. The Grand Masters Crypt is currently undergoing restoration on the initiative of The St John’s Co-Cathedral Foundation. In 2006 two of a set of 29 priceless 18th Century Flemish Tapestries were sent to the De Wit Laboratories Belgium for restoration. 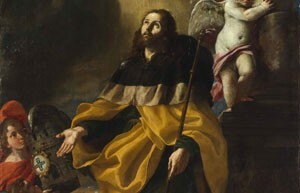 The altar-painting representing St James by Mattia Preti was restored in 2010 under the initiative of The St John’s Co-Cathedral Foundation with the generous sponsorship of the National Student Travel Foundation. 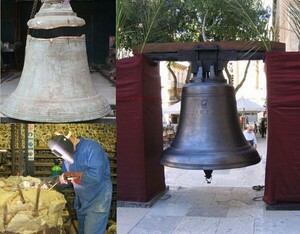 In 2008 The St John’s Co-Cathedral Foundation concluded the restoration of the Lascaris bell. This ambitious project took over 2 years. The bell cast in 1636 during the term of Grand Master Antoine de Paule was probably commissioned by Bailiff Jean Paul Lascaris de Castellar, successor of Grand Master De Paule. It was almost surely cast in the Foundry of the Order known as The Ferreria. Four armorial shields are found on the front, obverse and quarter points. The Lascaris bell was originally installed in the façade arch of the northwest belfry. It is commonly thought that the bell was damaged due to war action, however cracks in its suspending cannons strongly indicate otherwise. It was last rung on the 24th August 1974 on the occasion of the funeral of Bishop Emmanuel Galea. 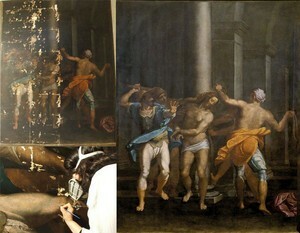 The Flagellation of Christ (383.5cm x 300.5cm) is a mannerist work by the Florentine artist Stefano Pieri painted in 1572. 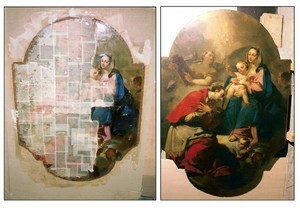 The restoration of the painting began in October 2006 and was completed in May 2007. The painting had blackened to such a state that it became unidentifiable. 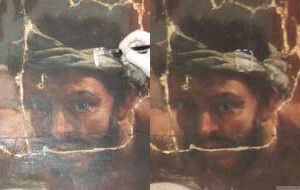 During the restoration process the signature of the artist was also rediscovered, centuries after it was masked beneath layers of thick, darkened varnish which has now been restored. The painting of St George and the Dragon on the altarpiece of the Chapel of Aragon is one of Mattia Preti’s outstanding work. 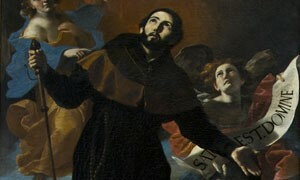 The painting of St Charles Borromeo, hanging in the Chapel of the Anglo-Bavarian Langue, was in a poor state of preservation and needed restoration. The bronze sculpture depicting the image of Christ the Saviour was commissioned from the Roman Baroque sculptor Alessandro Algardi by the Italian Knight Fra Alessandro Zambeccari and arrived in Malta in August 1639. 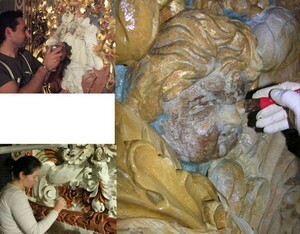 The cast was restored to its original state in a restoration intervention conducted between 2001 and 2002. 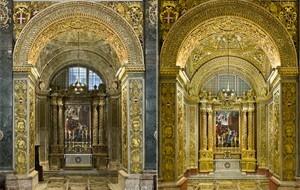 The High Altar and the Gloria underwent restoration in 2000 with the collaboration of the Metropolitan Cathedral Chapter, the Ministry of Education, the Italian Embassy, the Istituto Italiano di Cultura and St John’s Museum, under the direction of the Museums Department and the National Museum of Fine Arts, Valletta. The gilt-silver and crystal ostensory is said to have been donated by the Spanish Knight Commander De Cardona of the Langue of Aragon in 1690 and is possibly of Milanese or of north Italian extraction. The assay mark belongs to the reign of Grand Master Adrien de Wignacourt (1690-1697). 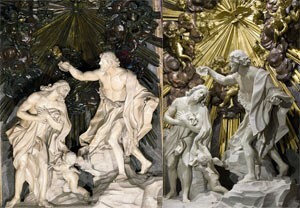 The bronze tondo by Ciro Ferri depicts ‘The Beheading of St John the Baptist.’ It was placed in the centre of the antependium of the marble altar in the Oratory of the Beheading in St John’s Co-Cathedral in 1688. It was commissioned in order to complete the refurbishment project of the said Oratory initiated by Grand Master Gregorio Carafa (1680-90). 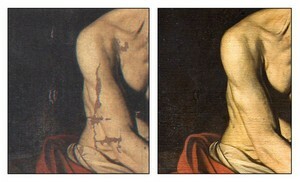 Restoration of one of Caravaggio’s most famous masterpieces began in April 1997 when it was sent to the Opificio delle Pietre Dure in Florence as the Comune di Firenze had offered to restore it. The silver and gilt bronze reliquary which contained the right arm of St John the Baptist was commissioned by Grand Master Gregorio Carafa and was designed by Ciro Ferri in 1689. 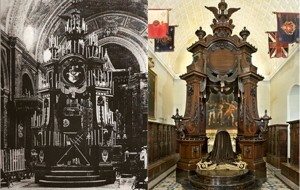 It was made to be the crowning glory of the altar of the Oratory of San Giovanni Decollato, at St John’s Co-Cathedral. 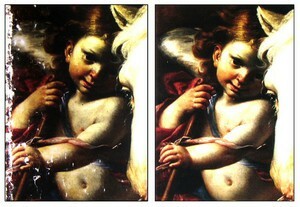 This masterpiece, also by Caravaggio, was sent to the Istituto Centrale per il Restauro in Rome in the 1960s to be relined. On the 29th December 1984 it was stolen and it was recovered on 4th August 1988.